Q1. I’d like to start by giving you the privilege of showing gratitude towards people who have those who have been a considerable name in your success so far. Q2. What made you start ‘Snacking’ ? Q3. The biggest thing which thrilled me when we met for the first time was your Humility. How important do you thing being humble is in Business? Q4. What separates ‘Snacking’ from the rest? Q5. You have been featured and noticed by various popular personalities and brands. Tell us about that. Q6. I love the idea of having Open Mic Nights and Different Workshops for your guests. How did you get that idea and what’s the result been so far ? Q7. Have people started noticing your work ? What’s the response been like ? Q8. The Cafe culture in Kolkata has seen some good rise. With plenty of food hubs opening up in each corner of the city every now and then, how do you tackle competition ? Q9. Tell us about some struggles you had in the recent past and how you overcame it. Q10. What plans do you have for the rest of the year and what lies ahead for Snacking? 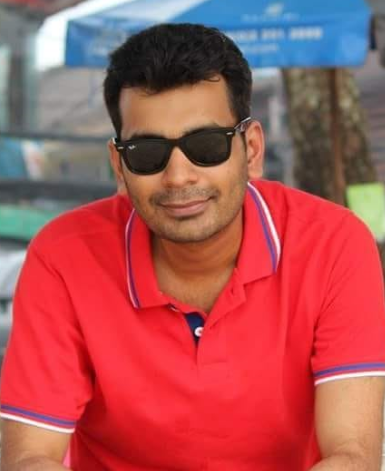 Prateek, a Calcutta boy, who graduated from IIM-K in 2014 and like most other MBA grads, he too took up a job and worked as a banker with HSBC Mumbai for close to three years. He could have had a flourishing career in the field of Finance in the city of Mumbai, he chose not to follow the conventional path. 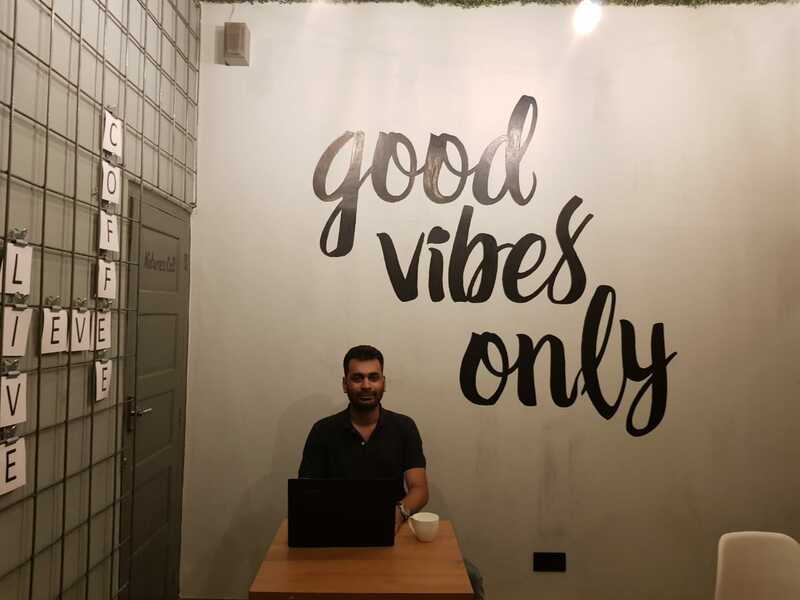 He quit his Job in late 2017 to return to the city where he was born and brought up, to start a lifestyle café along with one of his school friends. Though he has a long way to go but the journey from excel’s & PPT’s to hospitality is worth reading. Q1. Welcome to the section of Website which is dedicated to people who are working their face off to live life on their terms. I am so glad to have you onboard. Prateek – My parents and family which includes my brother, sister, sister in law and brother in law, have always been extremely supportive in whatever decisions I have taken till now. Prapti, Nimish and Ankit are friends for life who have guided me through ups and downs and the decision to quit job and start my own venture would not have been possible without their support. My parents have always been Extremely Supportive. Prateek – I had always dreamt of doing something in the F&B Industry. During the research phase, we felt that most of the cafes in Kolkata are engulfed with the smoke of the Shisha and we wanted to create a lifestyle café which serves affordable food along with activities which can engage people and help them stay away from digital platform for a while. Q3. The biggest thing which thrilled me when we met for the first time was your Humility. How important do you thing being humble is in Business? Prateek – In Hospitality, humility is a pre requisite to survive and I firmly believe it is an outcome of upbringing. I consider myself fortunate enough to have been brought up in such an environment where we need to respect every person’s point of view and one of the most sincere forms of respect is actually listening to what others have to say. I read this somewhere – Respect for ourselves guides our morals, respect for others guides our manners. Humility is a pre requisite to survive and is an outcome of upbringing. Snacking is a Lifestyle Café with old world charm catering to People of all ages. Q6. I love the idea of having Open Mic Nights and Different Workshops for your guests. How did you get that idea and what’s the result been so far? Prateek – The idea is pretty common in other cities and our objective is to have as many engaging activities as possible which can again entertain varied interests of all our guests. Workshops helps us to understand and enhance our skills while Open Mic always encourages public speaking and gives a platform to young talents. Our objective is to have as many Engaging Activities as possible. Prateek – By God’s grace, the response has been decent and we are trying to become stronger and better each day. I personally interact with all our guests as it gives an opportunity to take feedback which we try to use in the most constructive manner. We are trying to become Stronger and Better each day. Q8. The Cafe culture in Kolkata has seen some good rise. With plenty of food hubs opening up in each corner of the city every now and then, how do you tackle competition? Prateek – The more, the merrier. People in Calcutta love to eat out and there are plenty of opportunities in our city. All of us need to grow together and ensure good food is provided in the most hygienic manner without burning a hole in the pocket. All of us need to Grow together. Prateek – Struggles will always be there, both in personal and professional life. However, motivation has to be self driven and you need to believe in your own self. I was again lucky to have an extremely supporting family and friends who kept supporting me in whichever way they could. We are looking forward to open multiple stores across eastern India. Thank you Sonali for considering me worthy enough for this opportunity.